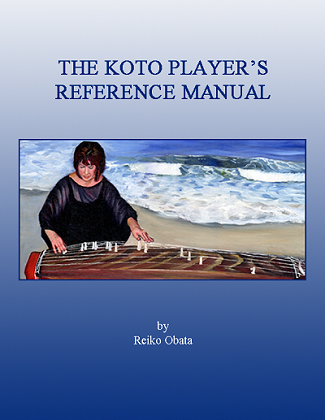 The first English-language detailed reference manual for koto players. This 138-page eBook contains a wide variety of information including koto technique, Japanese music terms and notation, and how to decipher a Japanese koto score. For koto players of all levels, students and teachers alike. Your purchase includes free updates, if any, through 2020. Japanese American koto performer Reiko Obata based in San Diego, California plays traditional and contemporary Japanese koto music. To book a performance, Contact Reiko. East West Jazz is a multi-instrumental jazz band featuring Reiko Obata on the koto, blending traditional sounds with jazz and contemporary music. The #1 English-language online shop where you can buy Japanese Koto and many other Japanese traditional instruments and accessories. Ships worldwide! Owned by Reiko Obata. Copyright (c) 2012 ReikoObata.com. All rights reserved. Design by Free CSS Templates.